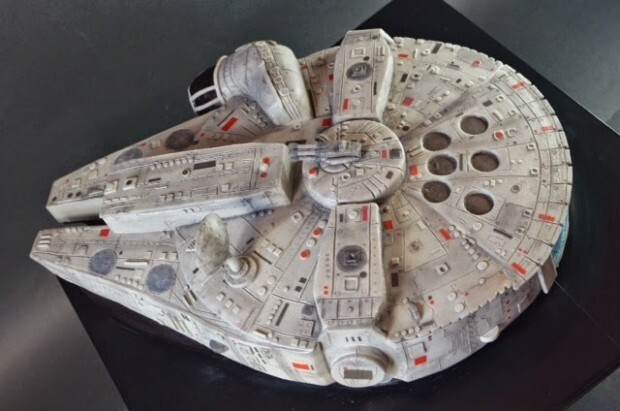 Millennium Falcon Cake: Mmmm, Chewie! 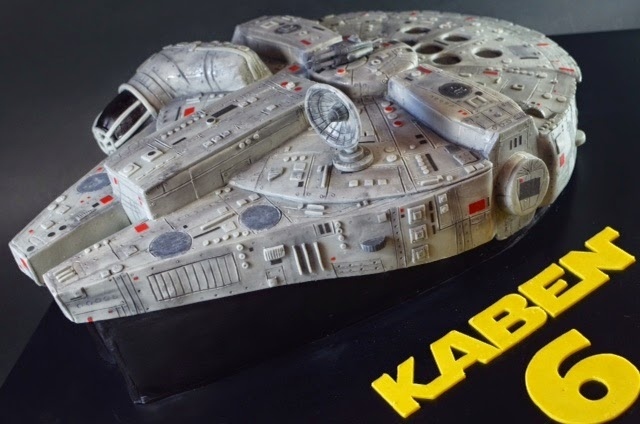 I love nicely detailed geek cakes. The details on this one really… take the cake. 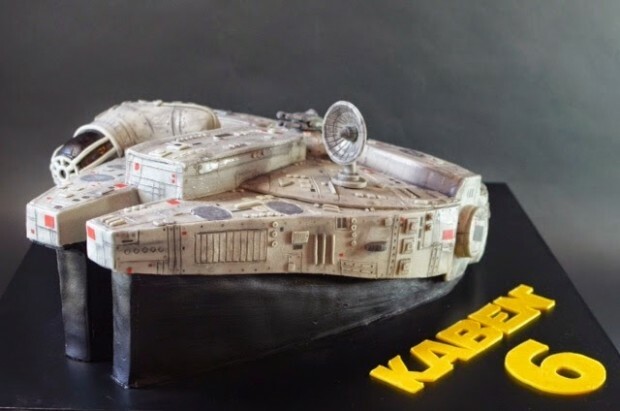 This intricate Star Wars Millennium Falcon cake was made by Cup a Dee Cakes in Georgia. 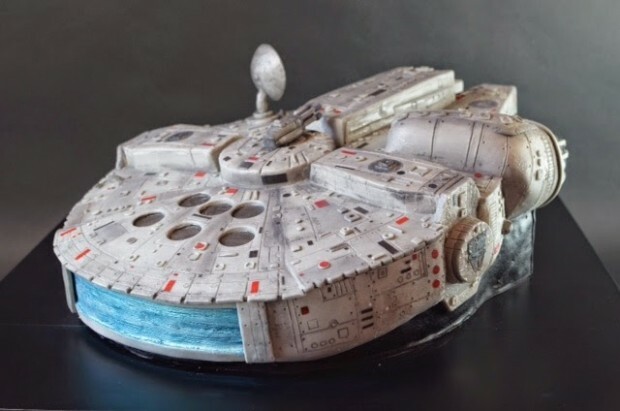 I don’t think I’ve ever seen a starship cake this detailed. These folks are truly confectionery wizards. Now hit hyperdrive and get into my mouth.